Sano Steam Offers Mold Testing and Mold Inspection services in Wilmington, NC. Mold spores produce gas called mycotoxins that cause health problems. 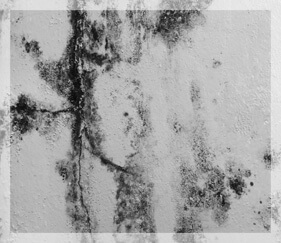 Black mold, also known as Stachybotrys, produces especially hazardous spores that are important to identify and mitigate in order to protect the health of you and your family..
Sano Steam’s restoration division offers toxic mold testing, moisture investigation and leak inspection, design a mitigation protocol, Mold Testing swaps, air samples, Allergy relief service and asthma trigger control. At Sano Steam, we provide mold testing typically with a three-day turnaround to determine the type and extent of your mold infestation. Sano Steam ASCR Certified technicians collect the samples and ship it the same day for testing. This facility is equipped to analyze viable and non-viable air, bulk, and direct surface samples. Our partner laboratories offer local, full-service mold and asbestos analysis in Phase Contrast Microscopy (PCM), Polarized Light Microscopy (PLM), and Transmission Electron Microscopy (TEM). Identifying the mold type and count with a quick, three-day turnaround. Additional air samples or swabs available at $70 each. Crawl spaces often experience mold growth due to moisture condensation that’s not necessarily related to water damage or flooding. A musty-smelling crawl space is a sign you’re dealing with mold growth. Our HEPA vacuum allows us to remove mold spores under negative air. This will ensure a thorough mold restoration result. Stopping moisture: All leaks stopped and water entry points sealed prior to any mediation. De-moisturizing using dehumidifiers to get the relevant humidity lower than 40% and wet materials to a moisture content of less than 12%. Setting up the area under negative air pressure. Remove mold spores using HEPA vacuum. Rebuild and replace building materials, paint, restore to original specs. Mold remediation cost can now be easily calculated based on the location and the size of the area. Contact our office for free mold cleanup estimate.